Tell us how you decided to go into makeup artistry! Why did you choose QC? While training as a ballet dancer, I was performing in Madam Butterfly. I decided it would be fun to turn one of my dancers into a geisha. It was then I knew that becoming a makeup artist is what I wanted to do. After many years of working a normal job, I decided it was time to go after my dreams. I did tons of research on makeup schools in the Atlanta area and online. I kept coming back to QC Makeup Academy’s page. I felt like I was drawn to it. After reading reviews, forums and many hours of research, I decided QC Makeup Academy was the place to take charge of my dreams. It was one of the best decisions of my life. After seeing the community of students online and how much the school stays active in their students’ progress, I knew I made the right decision. How does it feel to have won the QC Goes to NYC sweepstakes? I was flabbergasted! It was a dream come true. I remember feeling like I was walking on clouds for the entire week afterwards. I had to ask a few people to pinch me because it did not seem real. What was the biggest benefit of meeting Nathan Johnson in person? I am not sure I can just pick one. Getting to know him as a person and being able to pick his brain were the biggest benefits of meeting Nathan Johnson in person for myself. That experience was beyond anything I thought it would have been. It was amazing! I asked Nathan as many questions as I could think of. I really wanted to know about his journey that lead him to choosing makeup artistry as his career. What was the most important thing you learned during your private lesson? Was it any different from learning makeup online? The smoky eye that Nathan taught me how to do will forever change my makeup applications. I can tell a huge difference in my basic smoky eye since having the private lesson. There was absolutely no difference in learning makeup online versus learning at a tradition school. You are getting the exactly same information and the same training. I think learning online is even better than a tradition school because you are able to work at your own pace and there is a huge community of students, graduates and staff to support you and answer all of your questions as you go through the course. The feedback from the tutors is incredible! They give you all the corrections that are needed on your makeup applications to help you become better as a makeup artist. 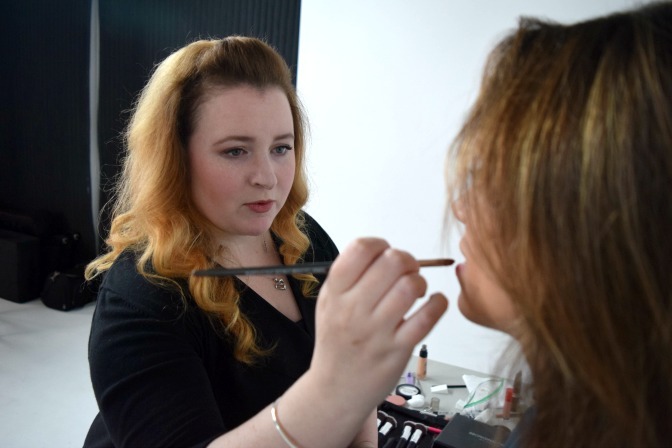 Looking back on Unit A of the Master Makeup Artistry course, do you find you’ve improved a lot from then to now? There is a huge improvement from unit A to now. I am starting to see more precision in my applications and my confidence has skyrocketed! The more I learn, the more I am able to see my past mistakes and see what needs to be fixed in others’ work as well. How did Nathan’s feedback help you on your next assignment? Nathan’s feedback has helped with my balance and creating clean makeup applications. I am starting to see so much progress in my color correction and my eyeliner applications in my assignments, as well. 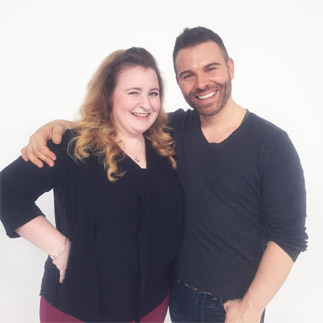 Do you have any new goals for your career after your private makeup class with Nathan? I have been tossing around the idea of starting a beauty blog for a while, and after my lesson with Nathan my I finally feel confident enough to do it. I want to share with the world my experiences, good and bad, of becoming a makeup artist. I also want to inspire others to follow their dreams and let them know that anything is possible if they put their mind to it and believe in themselves. How does Nathan inspire you to be a better makeup artist? I wish you could hear the feedback I get from Nathan. Hearing the excitement and the encouragement from him inspires me to be a better makeup artist. He pushes me to be better and I want to make him proud. Also knowing that he began his journey just like we all did (going to school) inspires me to be a better makeup artist and that it is possible to achieve my dreams. Inspired by Whitney’s journey so far? 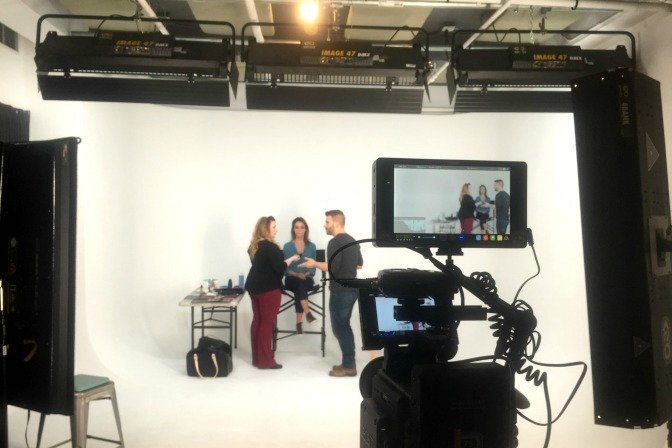 Find out Nathan Johnson’s 7 tips to becoming a better makeup artist!